In my last post, I considered the phenomena in book 3 of Newton’s Principia. Newton’s decision to label these propositions ‘phenomena’ is puzzling, as they do not seem to fit any standard definition of the term. In this post, I’ll consider Bogen & Woodward’s (1988) distinction between data, phenomena and theories, and suggest that it sheds light both on Newton’s use of ‘phenomena’ and on the connection between his methodology in Opticks and Principia. ‘Data’ are records produced by measurement and experiment that serve as evidence or features of phenomena. E.g. bubble chamber photographs, and patterns of discharge in electronic particle detectors. ‘Phenomena’ are features of the world that in principle could recur under different contexts or conditions. E.g. weak neutral currents, and the decay of a proton. ‘Theories’ are explanations of the phenomena. B&W argue that theories explain phenomena, but not data. Data usually reflect many causal influences besides the explanatory target, while phenomena typically reflect single, or small, manageable numbers of causal influences. For example, General Relativity explains the phenomenon of bending light, but doesn’t explain the workings of the cameras, optical telescopes, etc. that causally influence the data. These observations are not data in the ‘pure’ sense that B&W discuss. Rather, they are generalisations: average distances and calculated periods of orbit. Moreover, the bottom row contains the average distances calculated from the period and the Harmonic rule (that the periods are as the 3/2 power of the semidiameters of their orbits). These calculations illustrate the ‘fit’ between the expected distance and the observed distance. Nevertheless, they provide a good example of how we might get from a set of data to a phenomenon. So perhaps we can think of them as ‘data’ in a methodological sense: they are records from which phenomenal patterns can be drawn. This is a nice illustration of B&W’s notion of the shift from data to phenomena. 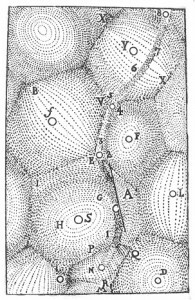 By attending to his theory about telescopes, Newton was able to manipulate the data to control for distortion. This theorem doesn’t contain any information about the sizes or positions of the satellites of Jupiter, or about the workings of telescopes. So, while it explains the phenomenon, it gives no direct explanation of the data. This suggests that, in the Principia, data and phenomena are methodologically distinct. Firstly, Newton’s phenomena are explananda, but not appearances. Traditionally, ‘phenomenon’ seems to have been synonymous with both ‘appearance’ and ‘explanandum’. For example, the ancient Greeks were concerned to construct a system that explained and preserved the motions of the celestial bodies as they appeared to terrestrial observers. 2000 years later, Galileo and Cardinal Bellarmine argued over which system, heliocentric or geocentric, provided a better fit and explanation of these appearances. This suggests that, traditionally, there was no real difference between phenomena and data. For Newton, however, these come apart. The six phenomena of Principia describe the motions of celestial bodies, but not as they appear to terrestrial observers. In this sense, they are not appearances, but they do require an explanation. Secondly, this reveals a continuity in Newton’s methodology. The point of Newton’s articulation of ‘phenomena’ in Principia is the same as his experiments in Opticks. Both identify and isolate a pattern or regularity. In the Opticks, Newton isolated his explanatory targets by making observations under controlled, experimental conditions. 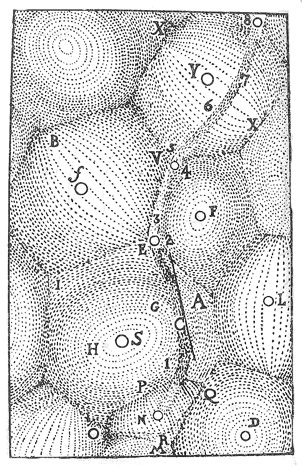 In Principia, Newton isolated his explanatory targets mathematically: from astronomical data, he calculated the motions of bodies with respect to a central focus. Viewed in this way, Newton’s phenomena and experiments are different ways of achieving the same thing: isolating explananda. These considerations are admittedly speculative, so I’m keen to hear what our readers think. Does this look like a good way of characterising Newton’s phenomena?